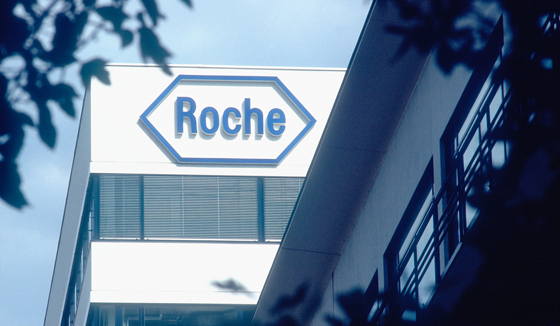 Roche's multiple sclerosis candidate ocrelizumab has outperformed interferon beta therapy in two phase III trials, setting it on course for regulatory filings early next year. The Swiss pharma major said two trials of the antibody in patients with relapsing-remitting MS reveal that it was more effective at preventing relapses than Merck Serono's Rebif (interferon beta-1a) over the two-year studies. Ocrelizumab also reduced the progression of clinical disability compared with Rebif, and was more effective at reducing the number of MS lesions in the brain, according to Roche. Ocrelizumab targets CD20-positive B cells, a type of immune cell thought to play a central role in the destruction of the myelin sheath surrounding nerve cells that is the primary pathological feature of MS. The new data is something of a renaissance for ocrelizumab, which was originally tested as a therapy for rheumatoid arthritis and lupus nephritis but was dropped from development in these indications after some patients developed serious infections. In the latest studies – called OPERA I and OPERA II – side effects were comparable to Rebif and there was no increase in serious infections with ocrelizumab. A recent Decision Resources report suggested ocrelizumab could eventually become the treatment of choice in MS patients whose disease is continuing to advance despite treatment with first-line therapies, such as Biogen's oral drug Tecfidera (dimethyl glutamate). Other analysts have suggested that with acceptable safety the antibody could eventually be used in 15% to 20% of patients. Overall, the market research firm said it expected sales of MS therapies in the US, UK, France, Germany, Italy, Spain and Japan to reach more than $20bn by 2023, having peaked in 2018 at around $22bn. Thereafter biosimilars of established drugs will have an impact, it says. Roche also has the phase III ORATORIO trial of ocrelizumab ongoing in primary-progressive MS, a patient population that is not well served by current therapies. Decision Resources' analysts have suggested that an effective drug for progressive MS could become a $1bn product in that population alone.